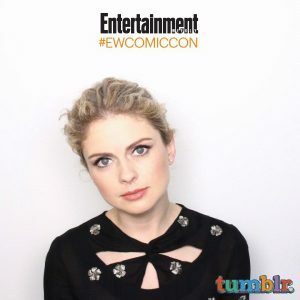 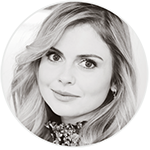 On July 10, 2015, Rose McIver attended the ‘San Diego Comic-Con‘ for the second time. 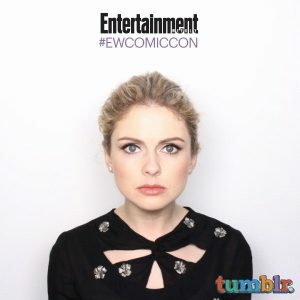 For the promotion of the new CW’s show ‘iZombie‘, she went there with her colleagues. 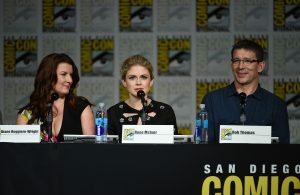 During the panel (which you can find below), the casting and the production team talk about the show and the upcoming season 2. 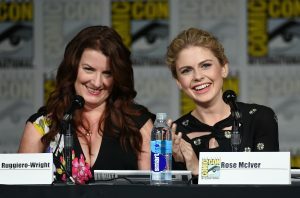 During this Comic-Con, Rose and her colleagues went to the ‘SiriusXM‘s studio for Entertainment Weekly Radio who was live is from San Diego Comic-Con.